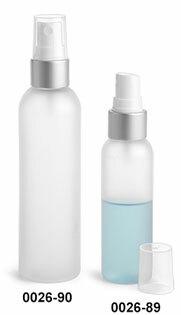 Frosted PET cosmo round bottles comes with white fine sprayers with a brushed aluminum collar and clear overcap. 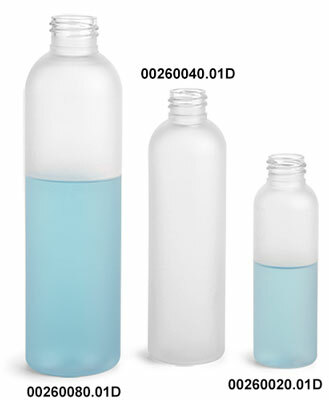 These plastic bottles are available in two convenient sizes. 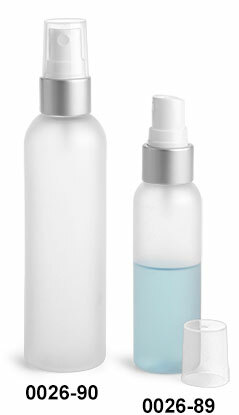 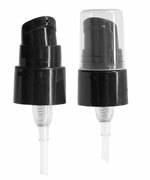 Use this product as an elegant and unique packaging solution for a variety of bath and body products that are applied by misting, such as body sprays, hair care products, and more.